There are different bed sizes being offered in the market, such as the king and queen bed sizes. These two are among the bigger choices offered. Here, we will see how the difference between the king and queen bed. The king or king-sized bed is the larger option between the two and is 76 by 80 inches in size. Because of its size, it also comes with a central leg support aside from its rectangular structure. 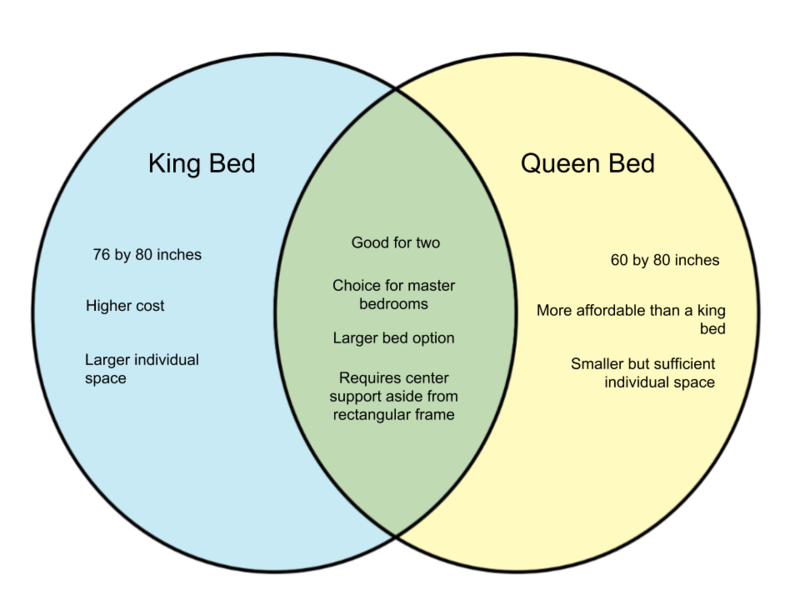 While there are different variables when it comes to pricing, the king bed generally costs more than a queen-sized one. It is also referred to as a Standard King Bed and is also known as an Eastern King in Europe. It can accommodate two people while allowing enough space for each person, which makes it a good choice for master bedrooms. The queen bed is sized at 60 by 80 inches, accommodating two people with less space than a king bed. This size still allows enough space for each person, although it does not have much as a king bed. Because of its smaller size, it is typically more affordable than the king and is also more popular. It is another choice for a master bedroom. Like the king bed, its frame requires a central leg support.